We may be called Virginia Beach, but we could be called “Virginia Groves,” too. Pungo, a rural area on the south side of the city, is a farming community spread across 8,000 acres of farmland. 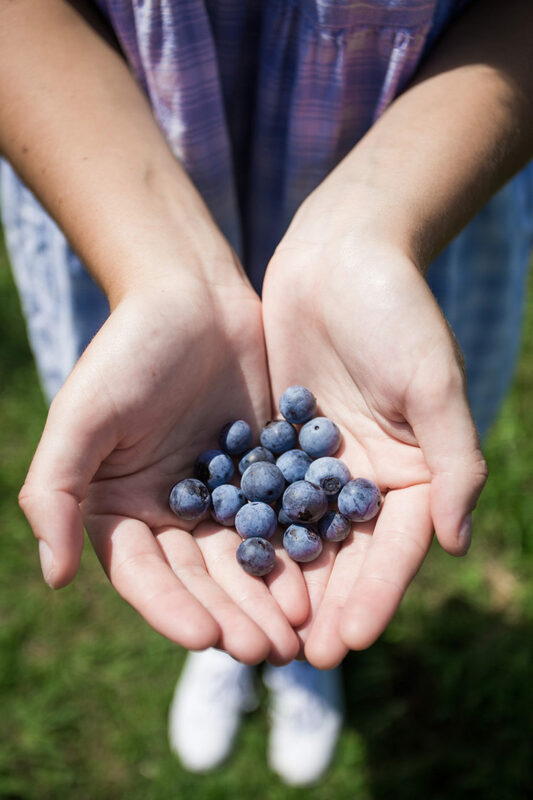 It’s home to no fewer than 16 You-Pick farms, so you can spend the entire weekend choosing from seasonally changing fresh produce like blackberries, squash, peaches, kale, apples — even wildflowers. These farms are super budget friendly, but they’re also a nice break from the pace of everyday life. Here, there’s nothing between you, the sun, and the rows upon rows of food (especially if you leave your phone in the car!). Bring the kids or a date and relish in how good it all feels — the tasty, fresh, farm-to-fingers fruits and veggies will make getting your hands dirty well worth it. You can get pickin’ at places like New Earth Farm and Cullipher Farm Market. Sitting down to a healthy meal and feeling the pride that comes from gathering it yourself is a pretty great experience — and your taste buds won’t mind either. Located on 19th Street, Three Ships Coffee separates itself from national coffee chains with its inimitable creations. They’re technically a “Nordic-style” roaster, which means they roast their beans a bit lighter than most of us are accustomed to — giving the final product a purer, almost fruitier quality than other roasts. Definitely none of those burnt big-chain vibes here. 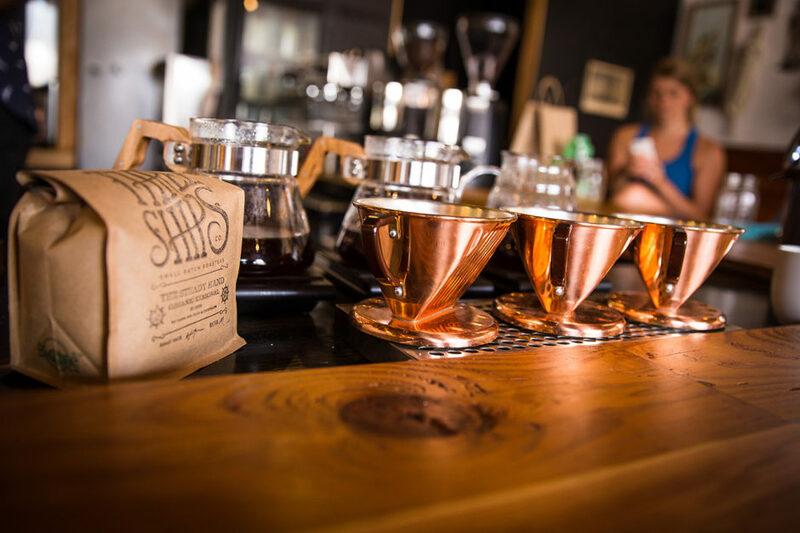 The name Three Ships is a tribute to the original settlers of the area and their adventurous spirit — the staff refers to their product as “adventurous coffee.” If you prefer to sit and relax while sipping, the open, airy, maritime ambiance makes it easy to spend an hour or two. Or grab a cup to go and be on the beach in no time. Hearth Wood Fired Cuisine was originally a food truck and has now evolved into a brick-and-mortar due to consistently high demand — aka, immense, line-around-the-block popularity. And while they certainly have a ton of other noteworthy food options (fried deviled eggs, anyone? 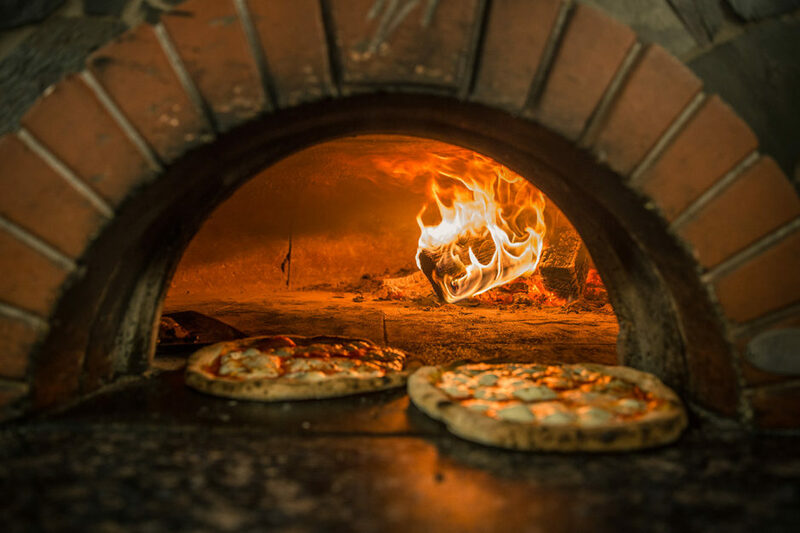 ), Hearth is known for their wood-fired pizzas with generous portions of awesome ingredients (wild mushrooms, whole-milk ricotta, and truffle oil, for starters). The wood-fire is apparently what boosts the intensity of the natural flavors — and trust us, these flavors only get better with a boost. If you’re looking for a drink and dessert, kill two birds with one stone and order the Jack Daniels Root Beer Float (proving you didn’t know what you were missing). Newly established in Virginia Beach’s budding ViBe Creative District and the city’s first farmer-owned restaurant, Commune has quickly become a culinary hotspot. 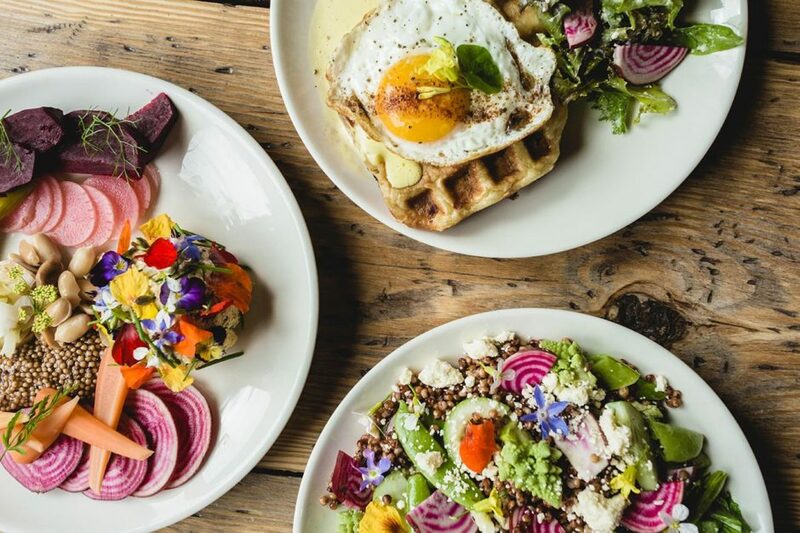 It’s a sustainable eatery/bakery/cafe, and there’s even a 2,000-square-foot onsite garden where their produce is grown; everything not grown in the garden is sourced from local farmers. The restaurant has cozy communal tables for that tangible “family” feel, but it’s paired with a definite modern vibe — the combination is a recipe for success, headlines, and returning customers. The restaurant houses a coffee bar, too, and their brunch is probably all you ever wanted on a laid-back Saturday morning. They’ve got all the basics, plus things like Croque Madame Stuffed Brioche Waffles, Jalapeño Glazed Corn Cookies, and Peanutella Sourdough Croissants. For lunch, take this local’s tip: The Pasture-Raised Beef Burger is absolute perfection. Pair it with one of the local Virginia brews, and you’ll be set. 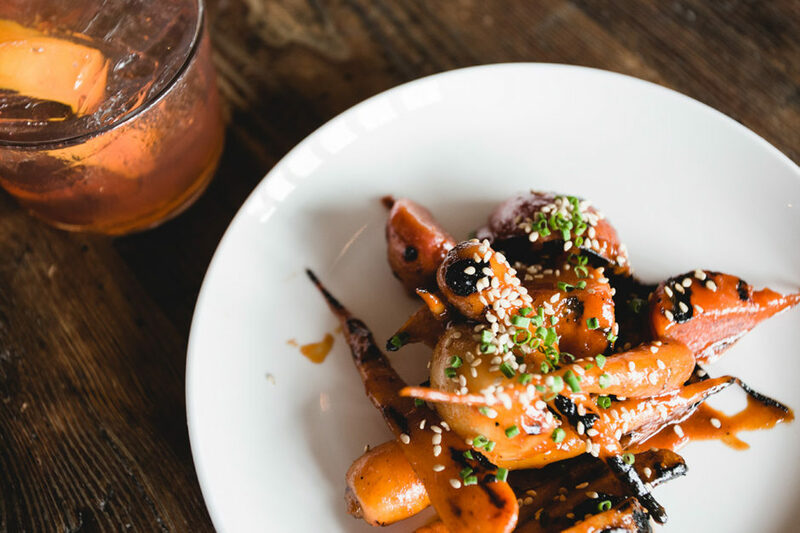 With “craft beer and eclectic, curated foods” and ” a space dedicated to the art of food, beverage and conversation” — Esoteric could be any millennial foodie’s second home. To match the vibe of their menu and their mission, the owners chose an old-school 1920s-era building listed on the Virginia Beach Historical Registry, and it’s easily spotted thanks to the inviting bright turquoise doors. The inside decor is modern and chic — think exposed brick pillars and dangling light bulbs. They’ve got a little bit of everything on their menu (from bacon sliders to kale quinoa salads), but if you’re feeling adventurous, be sure to check out the octopus tacos. Esoteric is known around here for their unparalleled flavor combinations and, yep, they’re aiming to be as sustainable as possible, and local, too. Chesapeake Bay Distillery recently moved its operation into a former surf shop on the Virginia Beach Oceanfront, expanding production and staking a solid claim in Virginia Beach’s growing craft scene. Included in their new building is a vodka tasting room — the first of its kind in Virginia Beach. Hit the free tours on Saturdays. 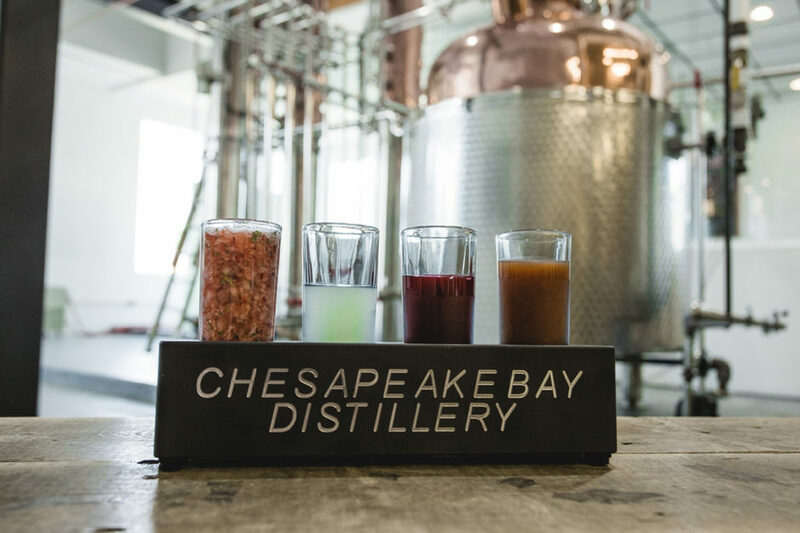 Each of the Chesapeake Bay Distillery’s creatively crafted vodkas and other spirits comprise locally sourced ingredients, giving them a taste unlike anything else you’ve ever tried. Try the Blue Ridge Vodka or the Ghost Pepper Flavored Vodka — but remember, this is vodka tasting. We’re talking sippers here. This boat tour is not about watching dolphins. It’s not about waiting an hour not to see a whale. It’s not about old buildings, pretty sites, or getting in the water — this one is about food. Here, you can see firsthand how the renowned Lynnhaven oysters are harvested. This may sound a little niche, but spend a little while in town and you’ll be oyster-obsessed, too. That’s how good Lynnhaven oysters are. 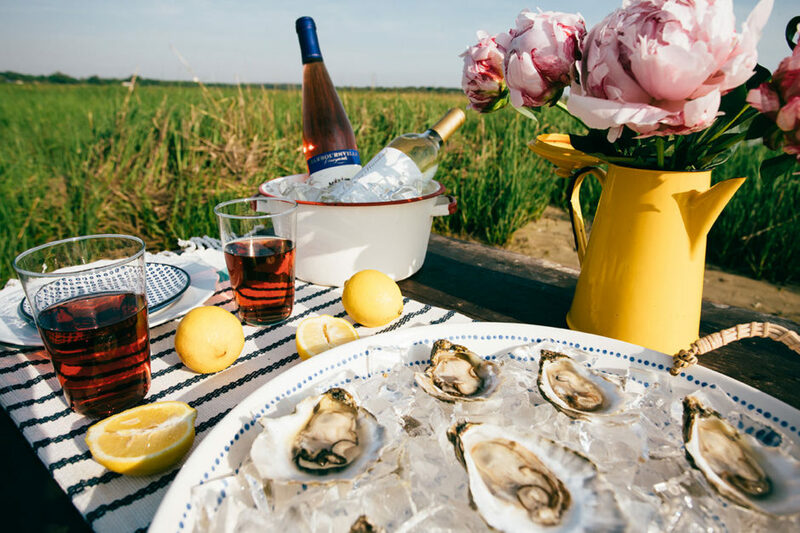 After the tour, Pleasure House Oysters offers a Chef’s Table dining opportunity, where you dine on a fresh seafood smorgasbord right on the marsh. For dinner, you’ll get the best oysters and a view that can’t be beat. 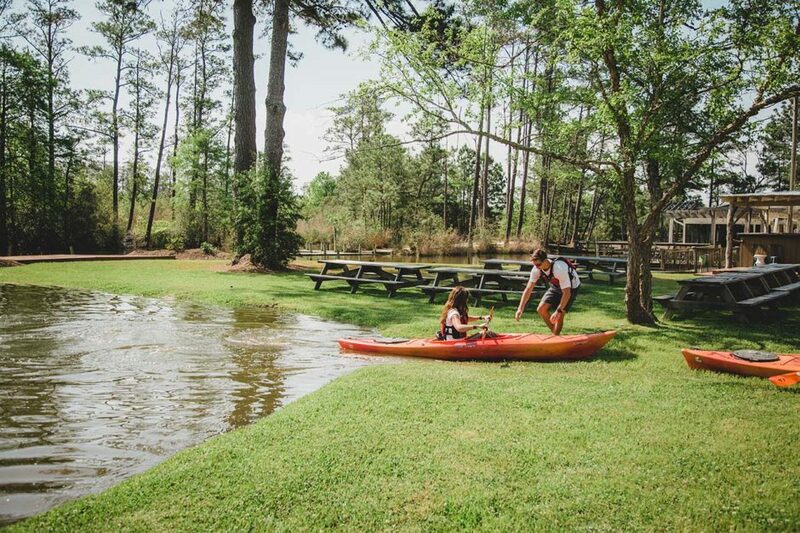 Positioned on a seriously stunning five-acre site near the Back Bay National Wildlife Sanctuary, Blue Pete’s has been a pillar of the Pungo Community since the early 1970s. That’s 40-some years of the best seafood. Ever. They have both indoor and outdoor seating and serve a huge selection of fresh seafood, including their highly sought-after blue crabs and seafood gumbo. Basically, at Blue Pete’s, you can’t go wrong. If you’re the outdoorsy type, check out Surf & Adventure Co.’s Sunset Dinner Tour and kayak through the gorgeous Back Bay National Wildlife Refuge (no experience necessary) before docking at Blue Pete’s for a fresh-from-the-bay seafood dinner. As its name implies, Bay Local Eatery provides a huge selection of succulent seafood from right here in the Chesapeake Bay. It’s been tagged as an absolute must for epic brunch dining — think tater tot nachos (yep); shrimp, scallop, and cheddar bacon fritters; crab cake Benedicts; and Jamaican dark rum french toast. As if its flavorsome local food weren’t sufficient, Bay Local has a cocktail menu that’s perfect for those who enjoy a drink with brunch. 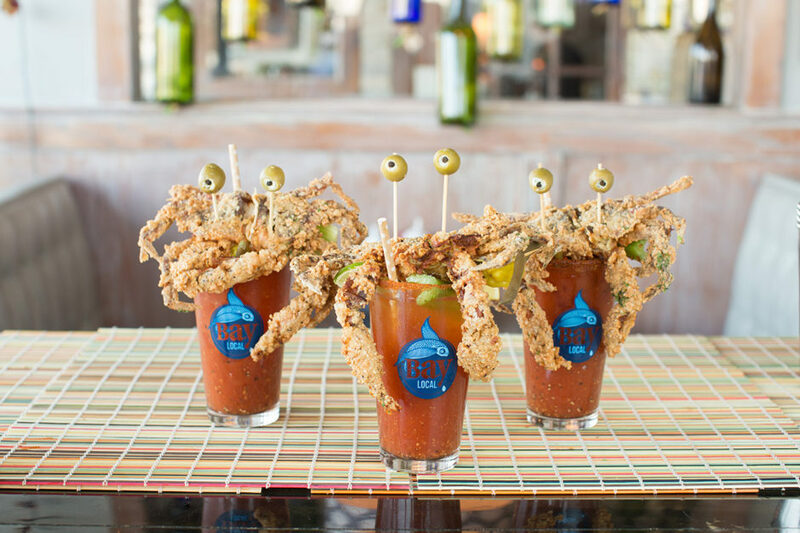 The Bloody Marys topped with soft-shell crab are considered a staple among locals…and a staple Instagram shot among visitors. Also available are colossal mimosas, great for sharing — if you’re feeling generous. Virginia Beach Town Center is home to the city’s core of modern living, cuisine, and entertainment, and it’s here you’ll find Twist Martini & Associates — the place to go in Virginia Beach for cocktails and fine dining. The staff includes expert mixologists who whip up hand-crafted cocktails as tasty as they are fancy, like The (Old-Fashioned) Old Fashioned, Fiddy Sour, and Currant Affairs. Sitting at Twist’s bar with a martini in hand and the lights dimmed is a recipe for glam, Virginia Beach-style. But don’t be fooled by the name: Twist also has an impressive food menu, including their trophy-worthy oysters on the half shell. 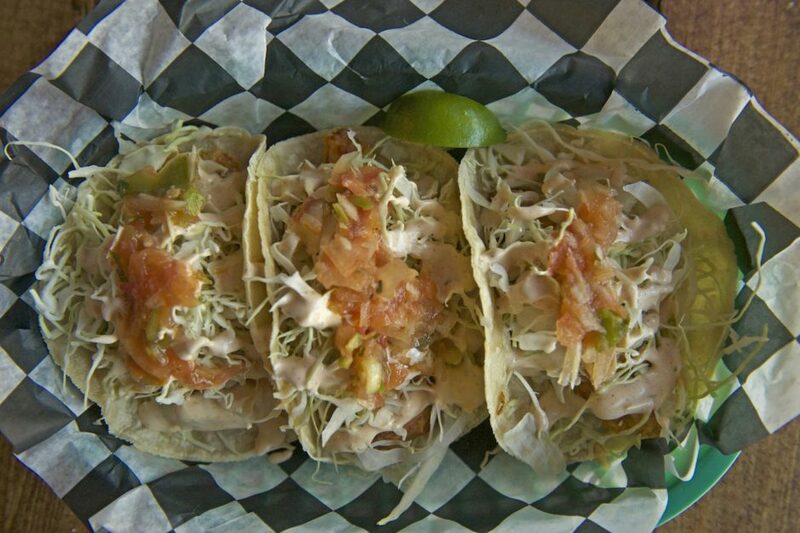 The best fish tacos east of Baja? That’s what Pelon’s Baja Grill claims, and any local will immediately agree. Seriously — go around and take a survey. Made with fresh-battered, deep-fried fish, cabbage, salsa fresca, and baja sauce, these tacos will leave you infinitely beyond satisfied. The “no more reasons to visit California” kind of satisfied. Located at the 36th Street oceanfront, Pelon’s embodies the surf shack vibe with its sticker-covered walls and chill atmosphere. This is not some Michelin-starred fish taco — this is grandma’s hole-in-the-wall, and that’s how you know it’s the real deal. Well, if grandma were a surfer. 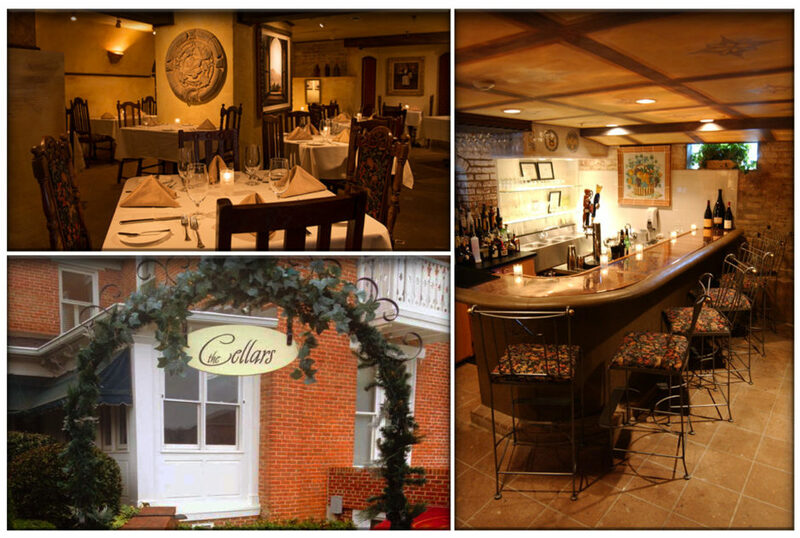 Tucked away in a prestigious neighborhood, The Cellars is one of Virginia Beach’s best-hidden culinary experiences. 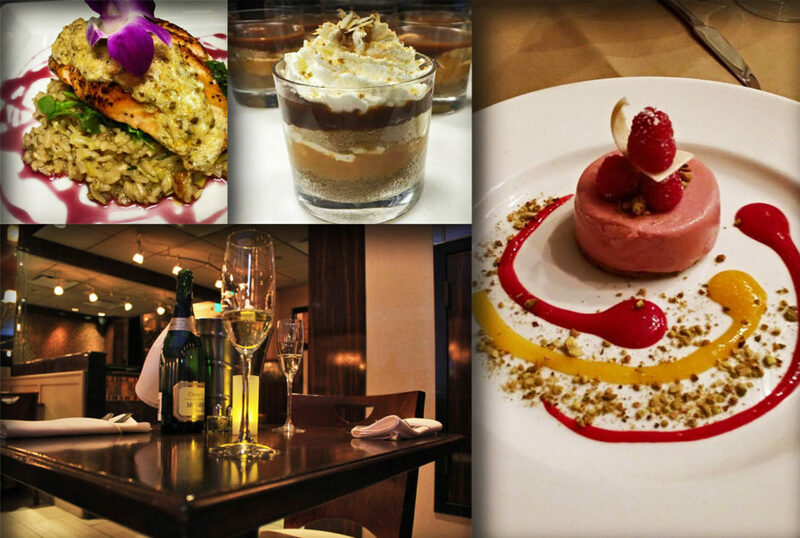 It’s been voted “Most Romantic in Hampton Roads,” and even “#1 in Virginia” (not just Virginia Beach) by OpenTable. It’s French Country meets Southern fare, and you won’t find anything like it anywhere else. This is where Virginia’s finest and most sophisticated dine, so leave your Crocs at home and brush up on your wine pairings. Located in the cellar (hence the name) of an 1860s farmhouse, its rich history is matched with a luxurious atmosphere and a wide assortment of elegant food and wine options (foie-gras-level elegant). The dim space provides an intimate and cozy setting, making it the perfect spot for a date you want to — and most definitely will — impress.